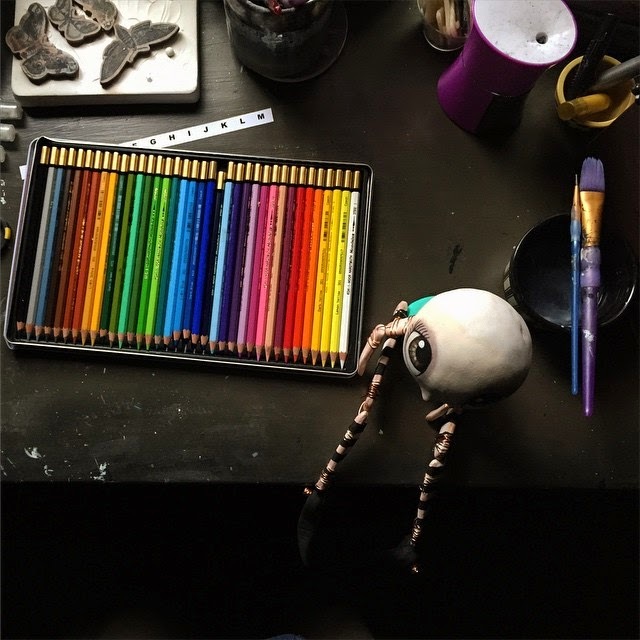 A sneak peek, a new illustration and I got published! Good morning everyone! I hope you all woke up to the same gorgeous day that I did! Crystal blue skies, perfect temperature and full sun! Remember to embrace everyday and squeeze everything you can out of it! As Robert Smith once sang...you have to get up, get out and get gone! 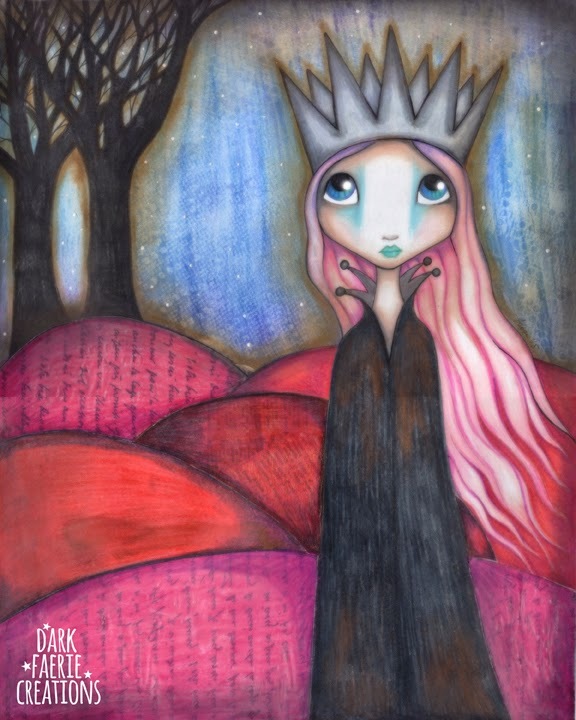 Next…I present to you "The Lonely Queen" - 11x14 mixed media on bristol board. I started her the day I was being photographed (as you can see in the photo above). 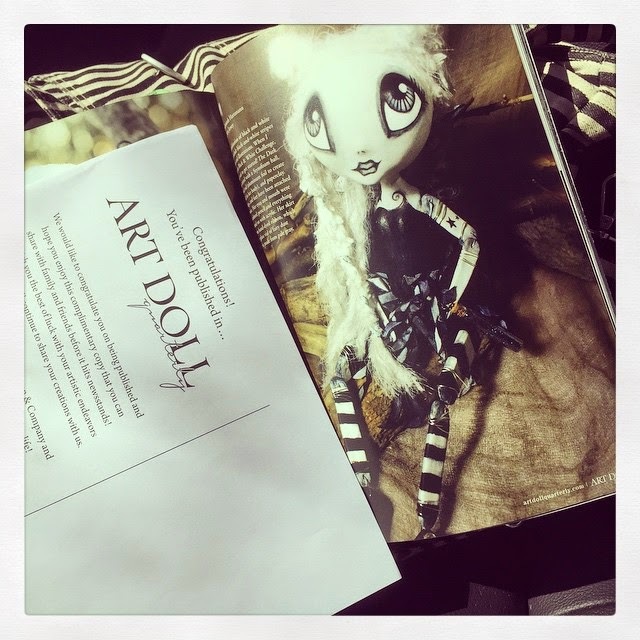 Finally, I am proud to announce that my "Dark Faerie" art doll made it to the pages of Art Doll Quarterly. This beautiful magazine will be hitting the shelves on May 1st!